China Adoption with Love, Inc. was established in 1995 in response to the increasing need for adoption services from China. We are a Hague accredited 501(c)(3) federal nonprofit organization and a licensed child placement agency in Massachusetts, New Hampshire and Maine. We are registered with the China Center of Children’s Welfare and Adoption. Our mission is to find homes for children. Each placement is a beautiful story from which we learn and grow. Although the job is not easy, we love our work more and more when we see our children blossom. To establish or to expand a family through China adoption is an important decision. Adoption is about love. The adoptive parents will receive it as well as give it. We believe that adoptive parents should be an integral part of adoption and get involved in all decision-making processes. Adoption should be a pleasant and satisfying process—not an ordeal. As our agency's name indicates, we only place children from China. With great appreciation of American and Chinese culture, our philosophy and practice combine the strengths of both. While the best interests of our children are our utmost priority and principle, they do not necessarily work against the best interests of adoptive parents. The quality standards for our services are: Being effective and efficient, personable and affordable. We believe that it is important for adoptive parents to learn and to respect the children's Chinese heritage. It not only helps with the bonding in the family, but also helps the children grow up in our "melting pot" society. We provide home study, placement, and post-adoption services. Throughout our services, we encourage parents to read about China, to join parents support groups and to take part in local Chinese activities. We believe in adoption religiously. Building family through adoption is also a process of building racial and societal harmony and understanding. Looking each other’s eyes as parents and children, as siblings and friends, we realize we are all humans and we are all equally capable for unconditional love and acceptance. Our shared lives and history build our new roots. The new branches and fruits in the tree of our lives will make our country and people stronger and more prosperous. Our agency submitted our application for the accreditation right after the form became available and became Hague Accredited in March of 2008. High service is our agency’s goal since we started the agency. We passed the COA accreditation in 2003 and the Hague accreditation in 2008 and 2012. We take pride in our responsible financial management style, and we will continue our practice of efficiency and effectiveness. Since we started in 1995, our program has had the lowest total cost in the country, and we are committed to maintaining this low cost into the future. Contact us today to learn more about the history of our organization. Headquartered in Brookline, Massachusetts, we help families across the country to adopt children from China. 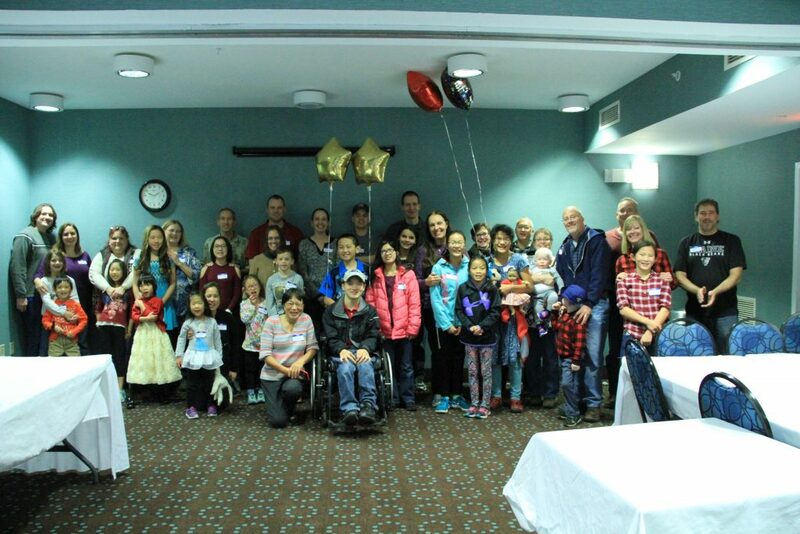 A letter to our children from Lillian Zhang, Director of China Adoption with Love Inc. This letter was first published in the agency’s newsletter in 2000. During all these years, many parents suggested that I say something on our website to specify the agency’s mission and philosophy. I thought long and hard but still feel I have said it all in this letter. I hope all families who have children from China and who will have children from China also learn from this letter that we are all very thankful to you too! Thank you for your great parenting! Thank you for your enthusiasm and involvement after adoption!